If you can survive an entire day without your laptop by your side, you’re doing much better than me. While my job requires me to stay well-connected, there are plenty of other reasons why you may need to have easy access to your portable computer outside of the home. From students to professionals, finding the best laptop bag can be a challenge, but we knew we were at the end of our search after trying out the Fjallraven Kanken Laptop Backpack. 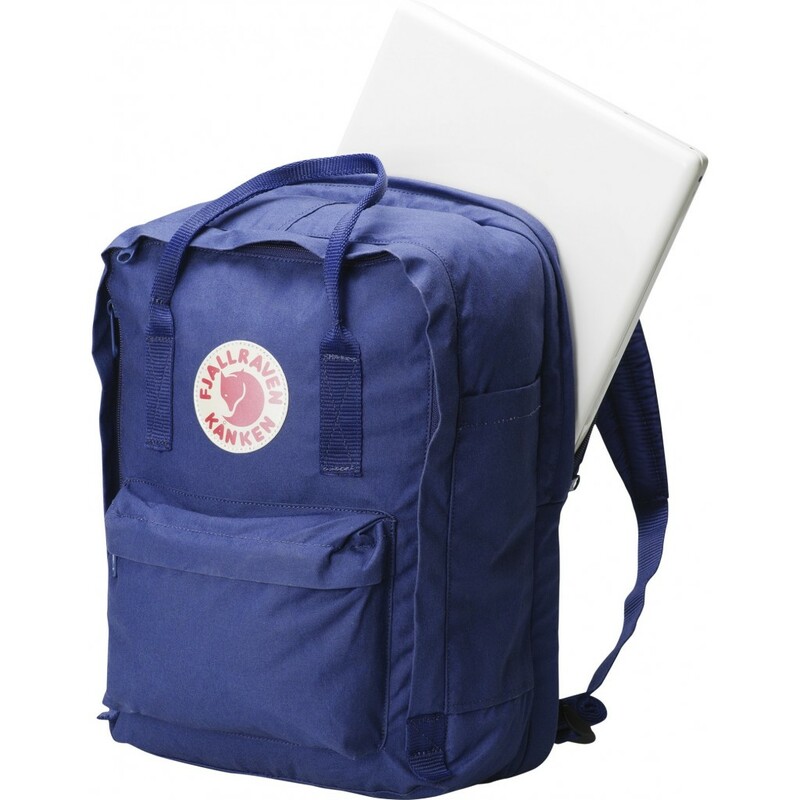 First off, the Fjallraven Kanken Laptop Backpack comes in three different sizes – 13-inch, 15-inch, and 17-inch. This allows buyers to choose the proper laptop bag for their specific device for the perfectly snug fit and optimal compactness. Each sized model comes in a range of colors from classic black to forest green to warm yellow – and just about everything else in-between. When it comes to construction, the Kanken Laptop Backpack is top-notch. The exterior is made out of Fjallraven’s patented Vinylon-F material – a synthetic water resistant fiber designed to be long lasting to ensure the maximum life out of your laptop bag. This is the same material that has helped make the Fjallraven Kanken the world’s most popular Swedish backpack for the past four decades. Worried about storage? With the Kanken Laptop Backpack you’ll have plenty of space for not just your notebook computer, but also everything else you need to bring with you. From books and papers, to lunch or diapers, there’s enough room in the large main compartment to fit nearly anyone’s needs. There’s also a secondary zippered pocket on the front of the bag, and a smaller open pocket on the side. 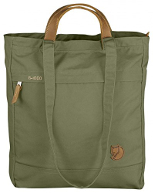 Unlike some other lower quality computer backpacks, the Fjallraven laptop bag offers well-padded shoulder straps to ensure comfort after extended periods of use. It is a Kanken, after all, so it’s no surprise that there’s a focus on comfort and long-term back health. Students – Planning to haul your laptop back and forth to class every day? Normal laptop bags and cases won’t cut it – you need something to both secure your notebook computer from damage and also offer the space that you need for the rest of your school supplies. With the Kanken Laptop Backpack, you’ll be well prepared and doing it in style. Commuters – Looking for a sleek and compact way to carry your computer with you on your daily commute on busy buses and trains? The Fjallraven laptop bag offers practical functionality blended with minimalistic style to create the perfect backpack for your public travels. Professionals – Need something that is both functional and sophisticated? The Kanken Laptop Backpack comes in a number of classic colors like black, tan, and blue to ensure a professional look without sacrificing comfort and usefulness. Parents – Need a stylish alternative to the baby bag that is both durable and practical? The Fjallraven laptop backpack is exactly what you’re looking for. With plenty of room for your laptop as well as everything else crucial to an active parent on the go, this computer bag will be your go-to backpack for days out of the house with your children. I knew from the very beginning that I was going to fall in love with the Kanken Laptop Backpack. I’ve always been a huge fan of my classic Kanken backpack, so I had high expectations for Fjallraven’s laptop bag – and I wasn’t disappointed. Compared to the computer bag that I’ve been using for the past couple of years, the Fjallraven Kanken’s straps were much more padded and comfortable on my neck and shoulders from the second I put it on. For this review I went with the 15-inch bag, but I feel confident that the most noteworthy points about this bag will hold true for both the 13-inch and 17-inch models as well. My 15” laptop fit nicely within the interior laptop compartment – not so tight that it was tough to insert or remove, but also not so loose that it moved around throughout my day. Although I can’t stress enough the importance to get the proper size bag for your laptop, as the fit may not be as ideal if you’re trying to squeeze a larger laptop into a smaller sized bag, or vise-versa. Even with the laptop in place, there was a ton of room in the main compartment for everything else that I carry on a daily basis – a jacket, some snacks, a portable mouse, the laptop’s power cord, phone charging cables, and a few other smaller miscellaneous items. There’s also the smaller zippered pocket on the front of the bag, but I rarely find the need to even use it. Typically, that’s only for tiny items that I don’t want to get lost among the rest of my items in the main compartment. The side pocket is great for storing a water bottle or other little item that I don’t mind being out in the open – definitely not for something valuable such as a cellphone that could be easily snatched while in public. I haven’t tested my Fjallraven Kanken Laptop Backpack out in the rain yet, but considering it’s made out of the same Vinylon-F that the classic Kanken rucksack is known for, I have absolutely no doubt that it will hold up equally as well. My backpack has weathered many storms and lived to tell the tales – and so has everything inside of it. While I would leave my laptop backpack sitting outside during inclement weather, I’m not going to worry about the occasional showers while out and about with my computer. All-in-all, the Kanken Laptop Backpack is, in our opinion, the absolute best laptop backpack out on the market. It’s stylish, comfortable, and has plenty of space to carry almost anything you need to be bringing with you. 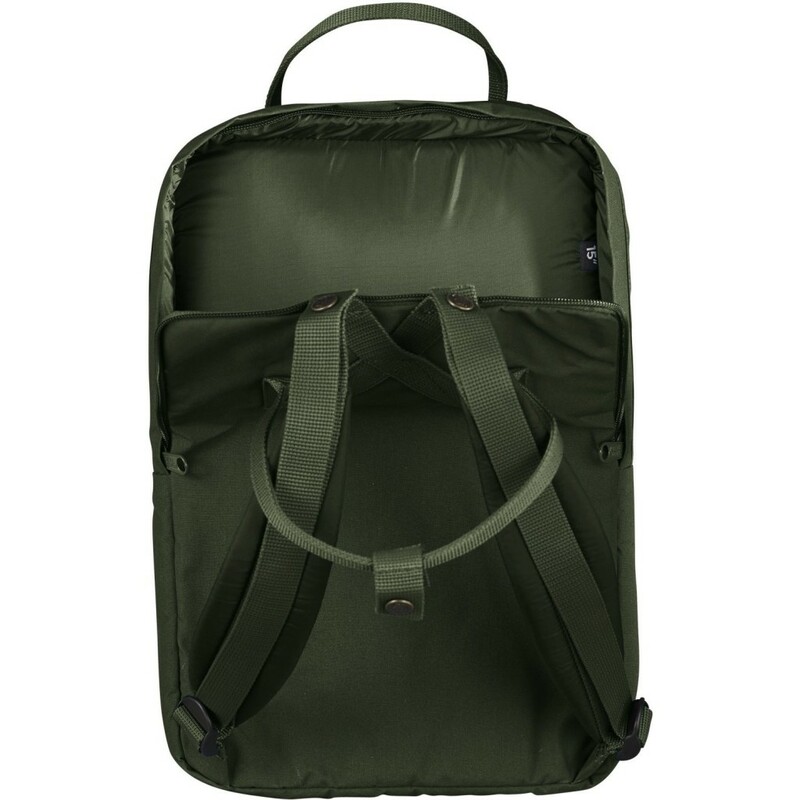 Great for students, professionals, commuters, and parents, the uses for the Fjallraven computer bag are nearly endless. If you’re looking for a quality backpack that can hold your computer and everything else, you don’t need to search any further.